Product Description Quaint Bistro. Start your morning off right with a hot cup of coffee and delicious pastry on the Aldo set of two outdoor stackable arm chairs. 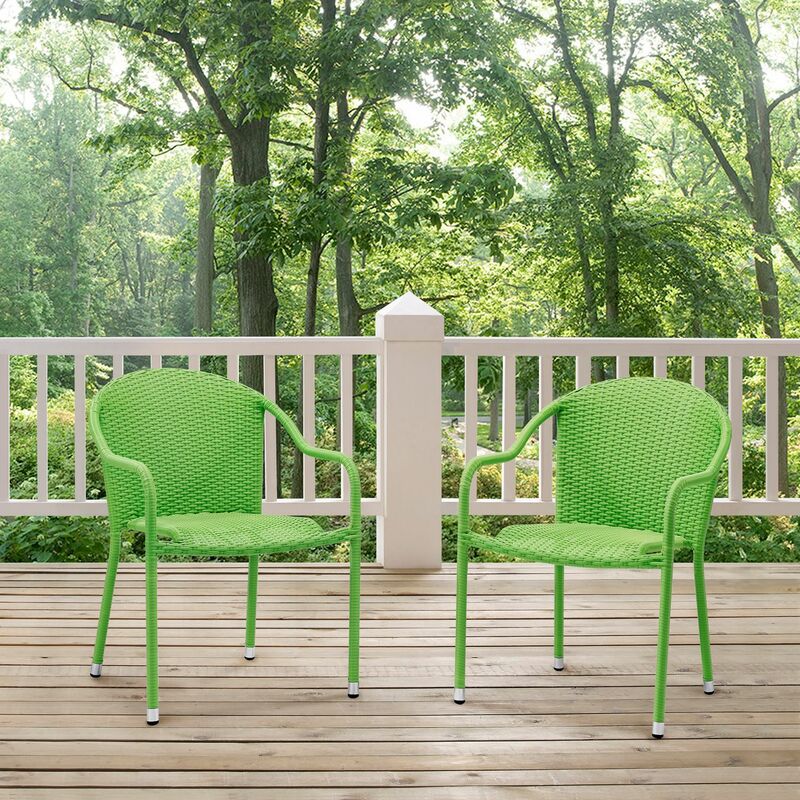 Featuring durable weather-resistant wicker in a bold green hue, this attractive set gives your patio the ambiance of a charming bistro. Customer assembly is required. Unique Features: Petite size is perfect for tight spaces and smaller patios. Bold color breathes life into your outdoor area.